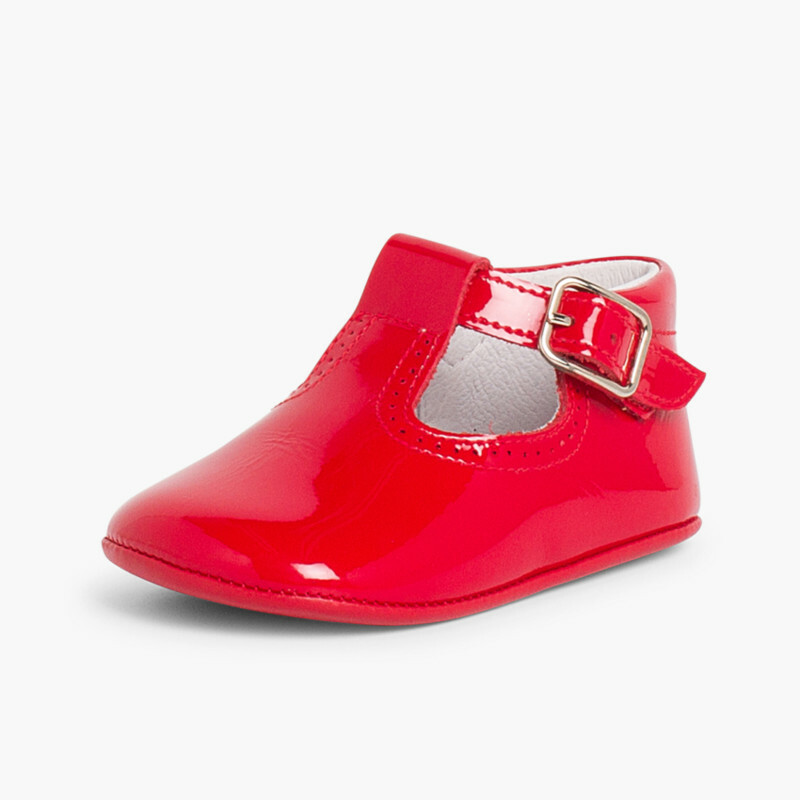 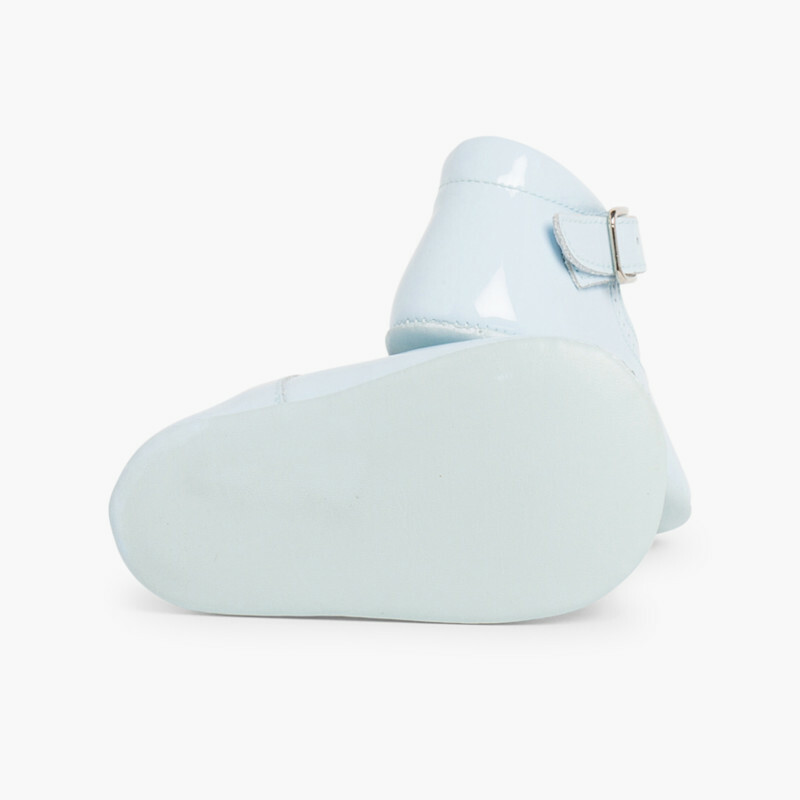 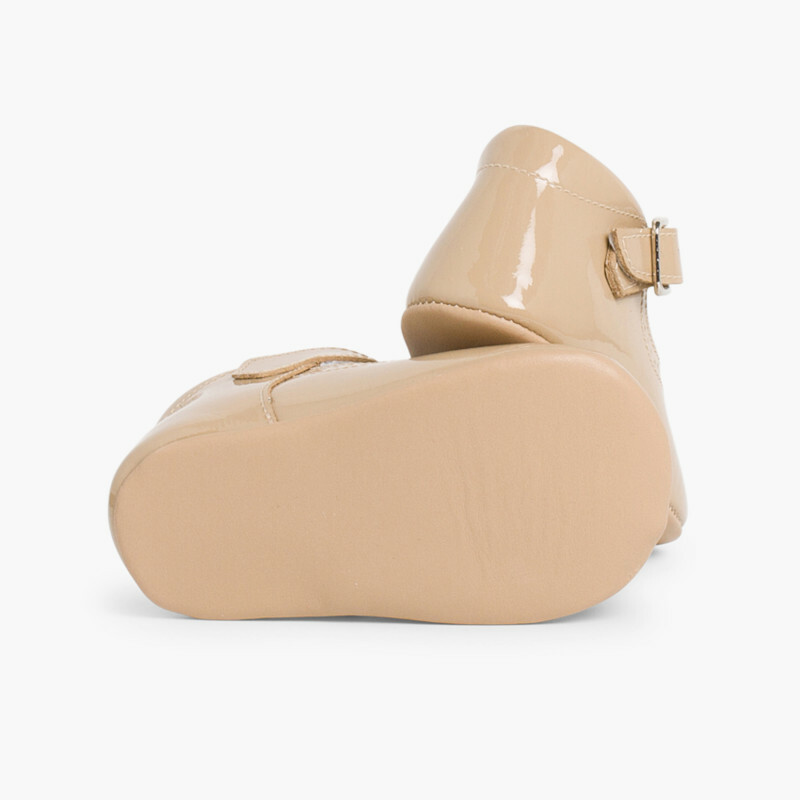 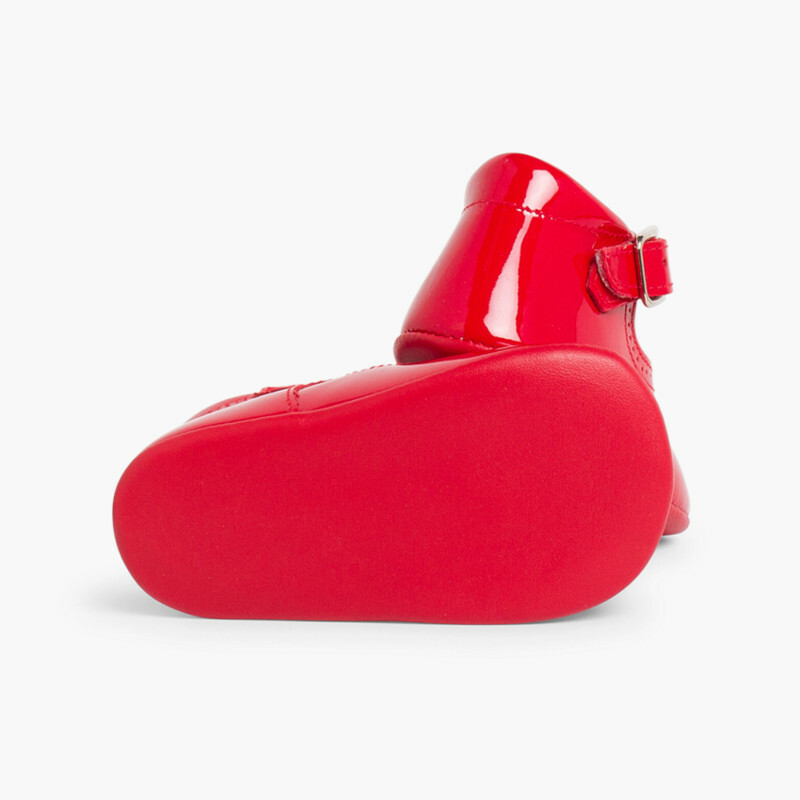 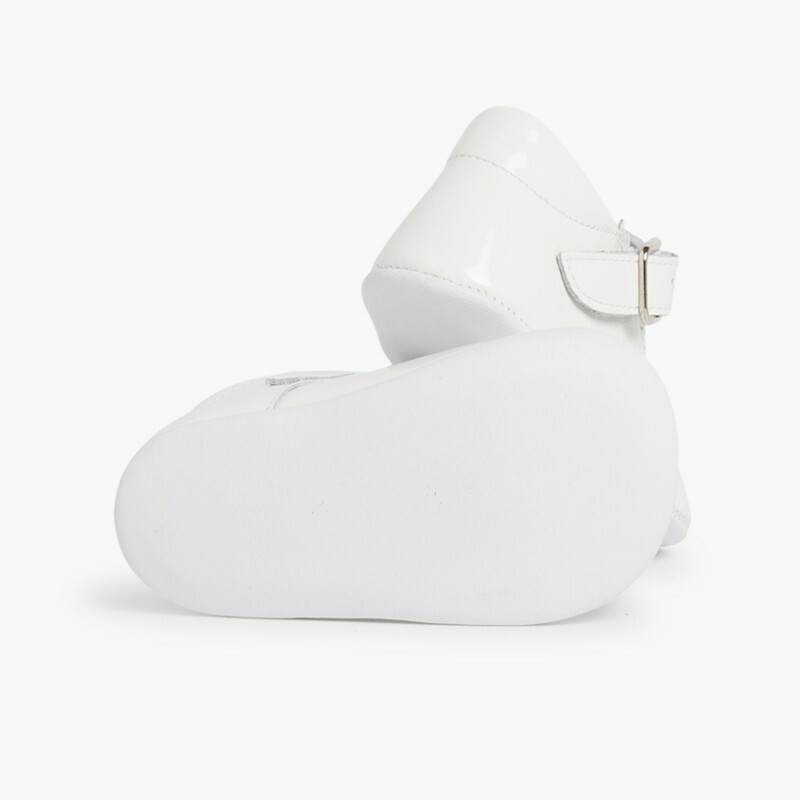 Patent leather T bar booties for babies. 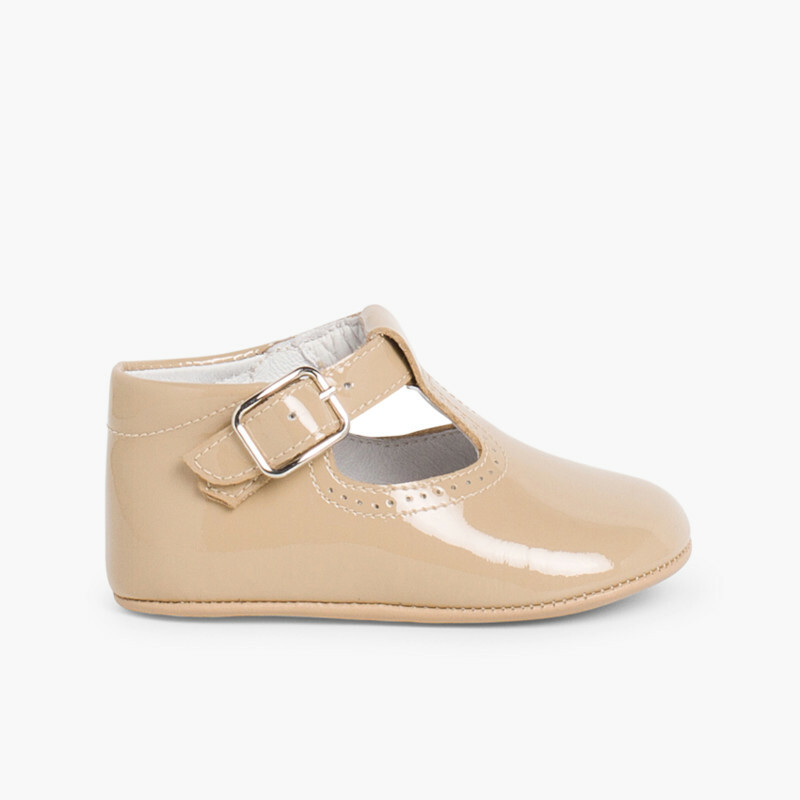 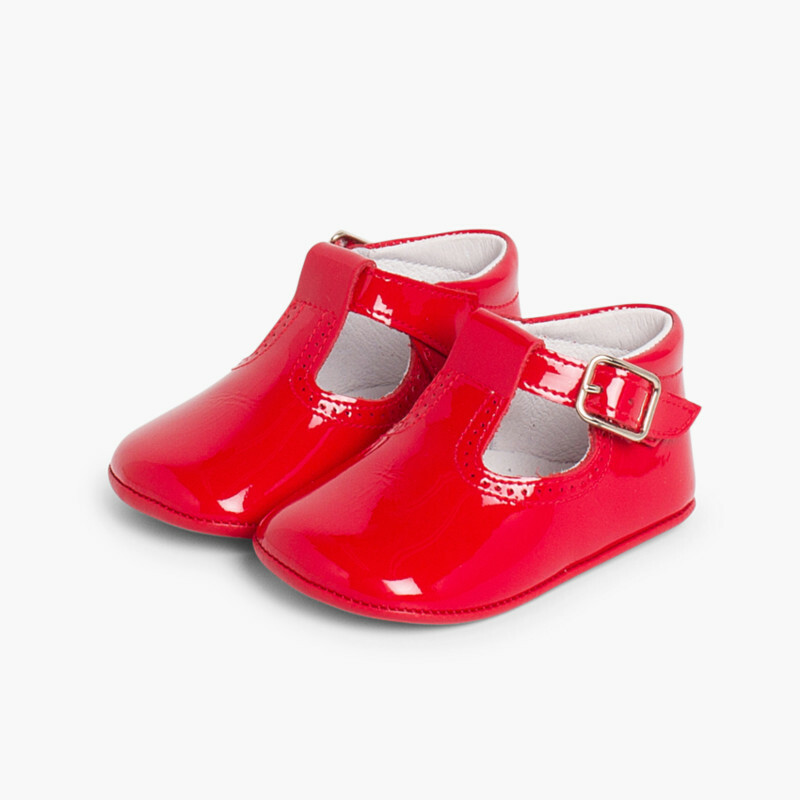 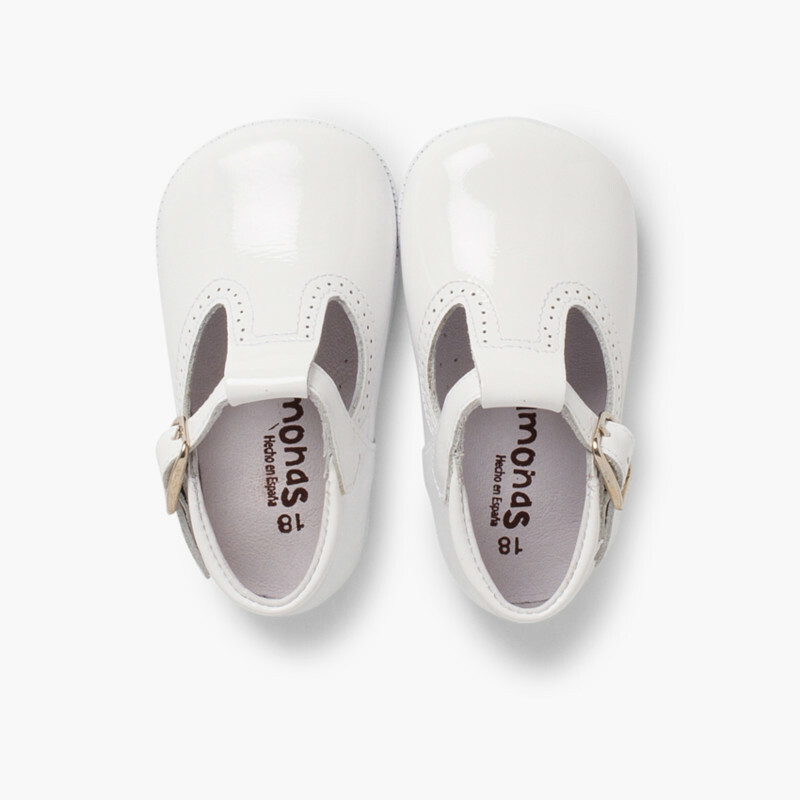 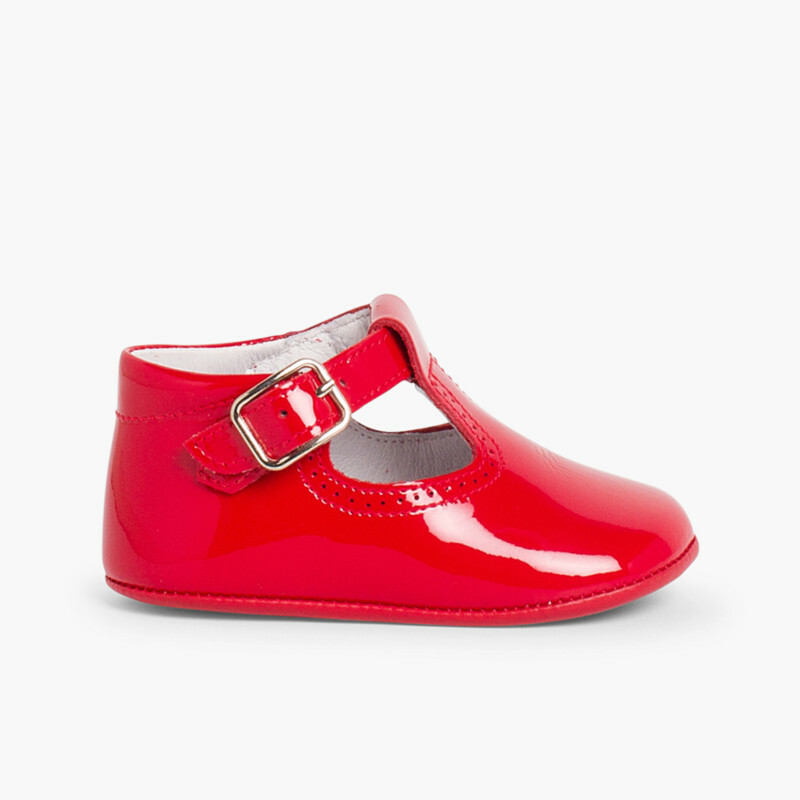 With buckle fastening for a better fit and a soft sole for pre-walkers. 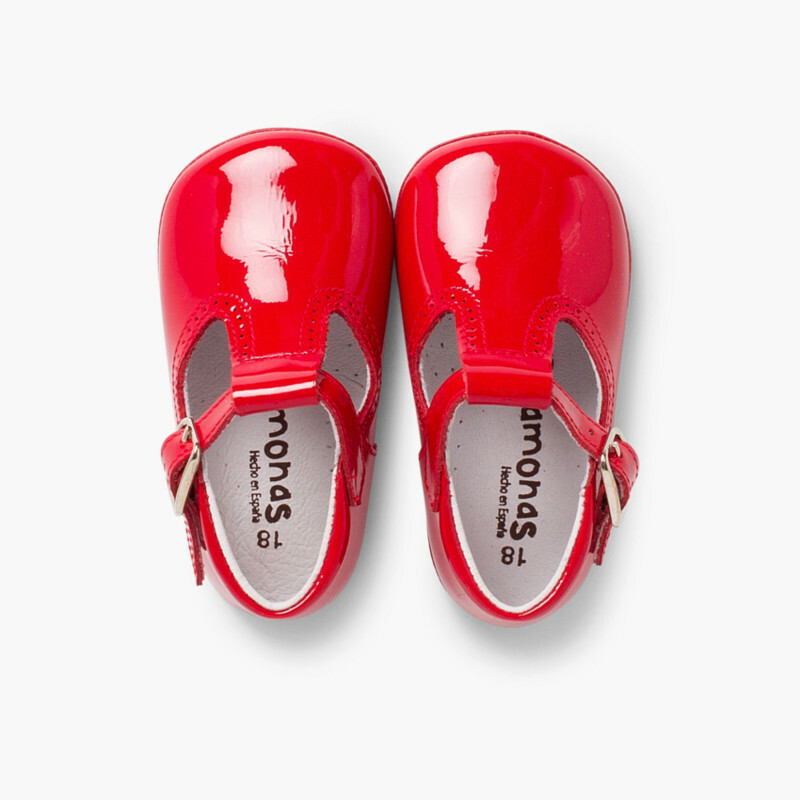 Choose the colours which go best with your baby´s wardrobe. 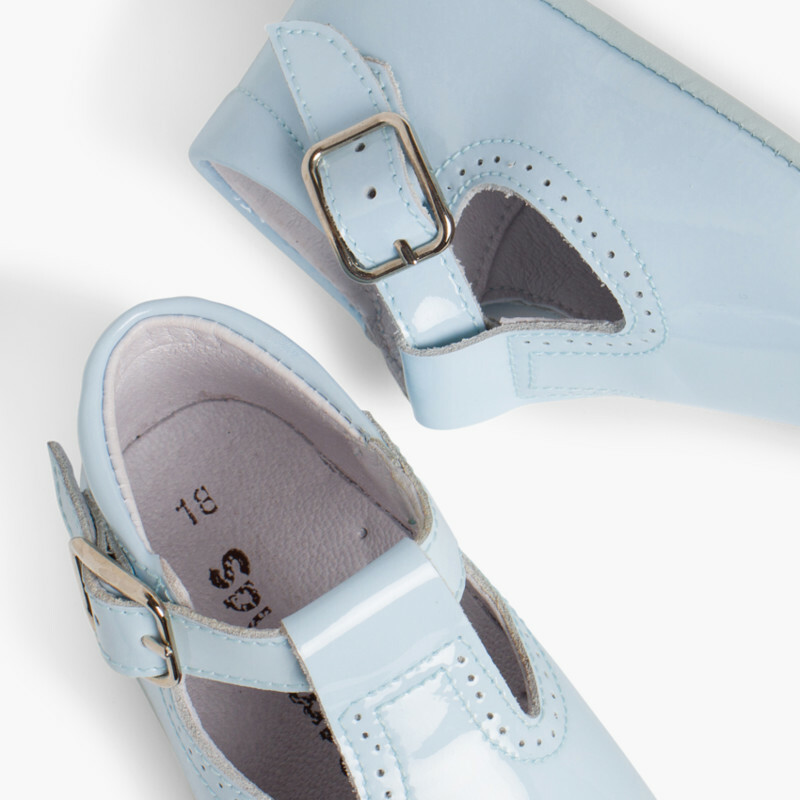 Ideal year round. 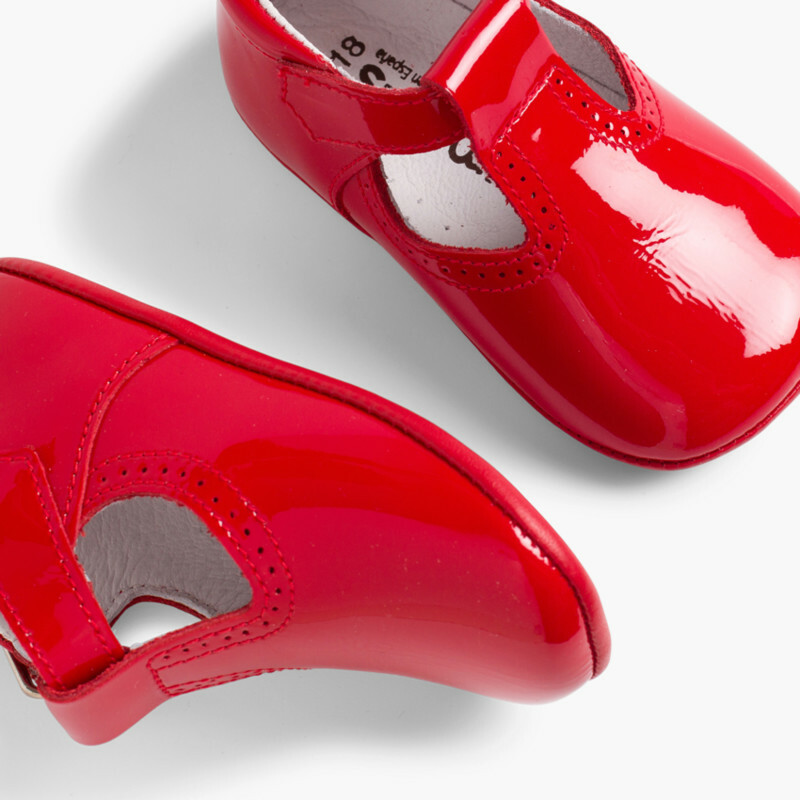 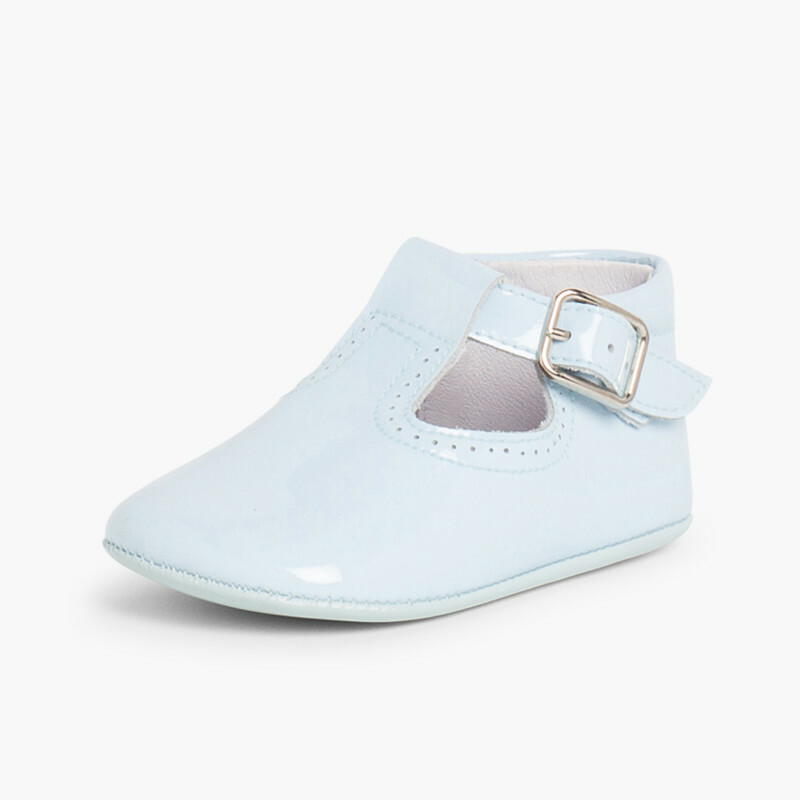 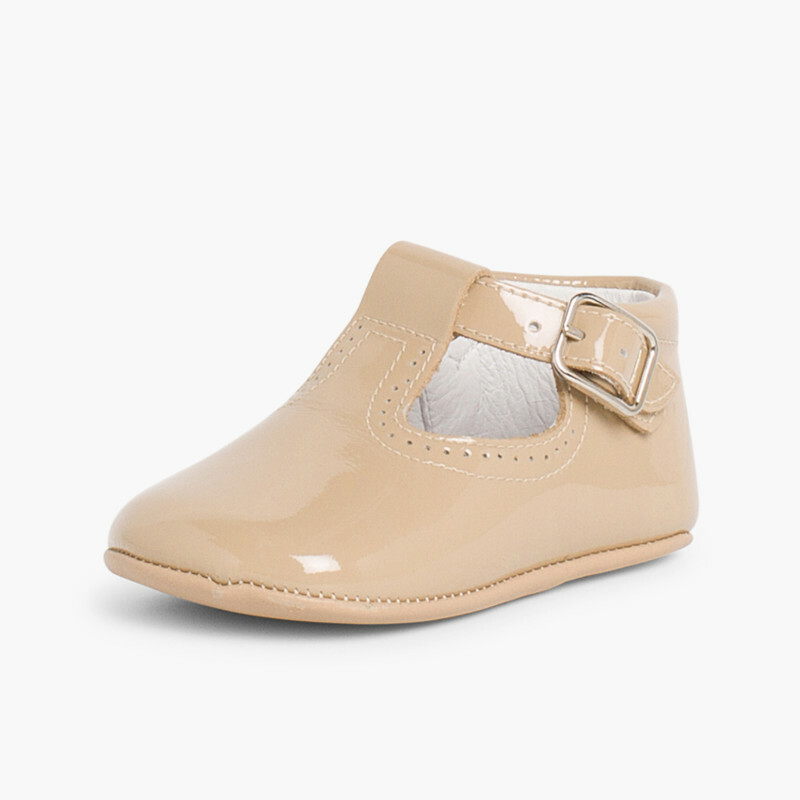 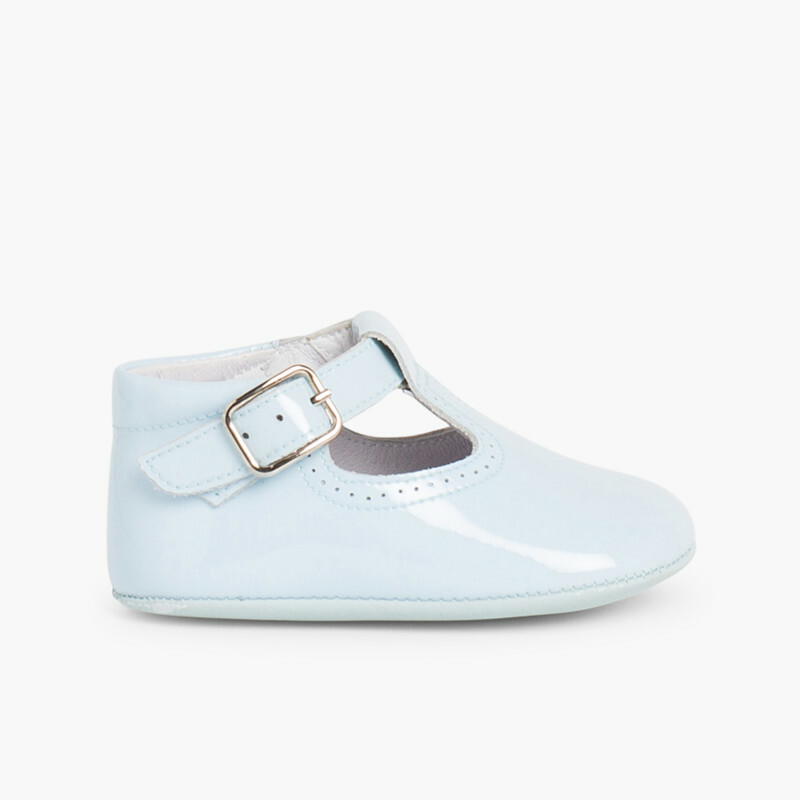 These shiny patent leather baby shoes are very smart and can be used for any formal occasion such as christenings and family events. 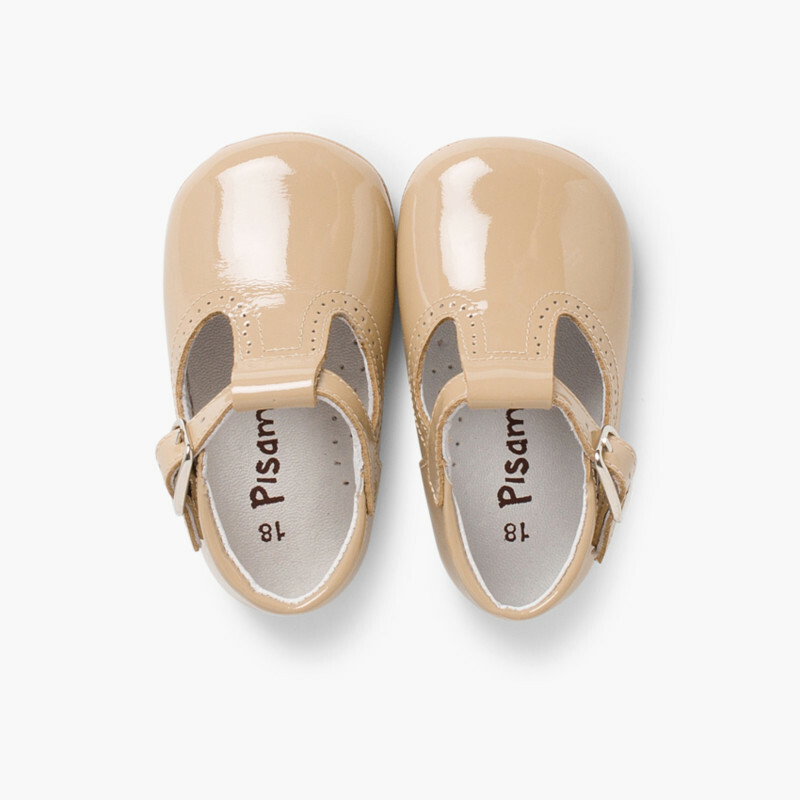 Made in Spain with the best quality leather to be both durable as well as comfortable. 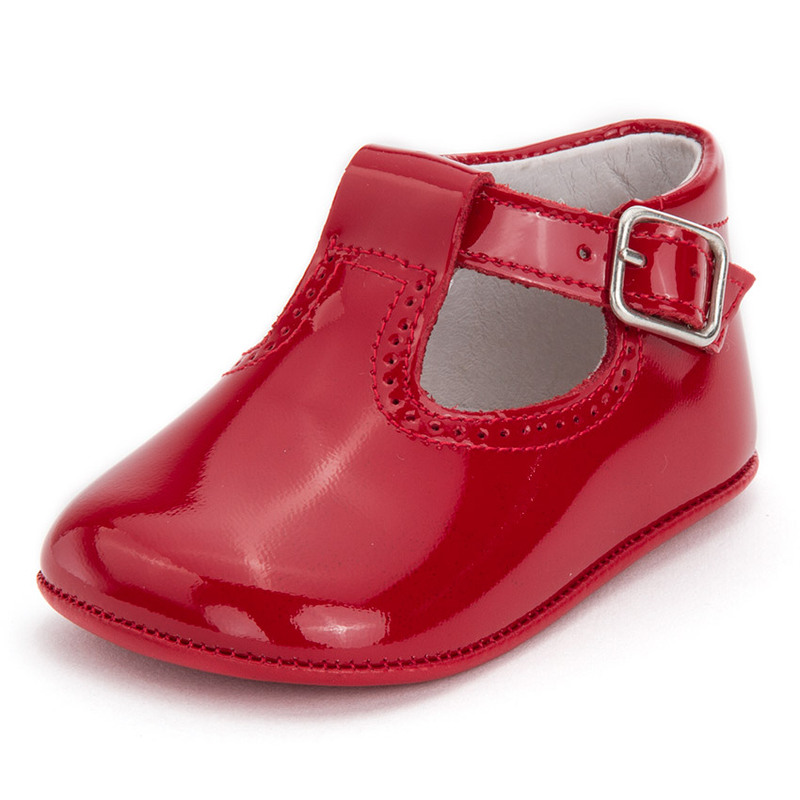 Make the most of our Free Delivery service!